Food Exchange at Novotel, Aerocity, New Delhi offers varied culinary experience comprising of Indian, European & Oriental flavors with a lively chic ambiance. 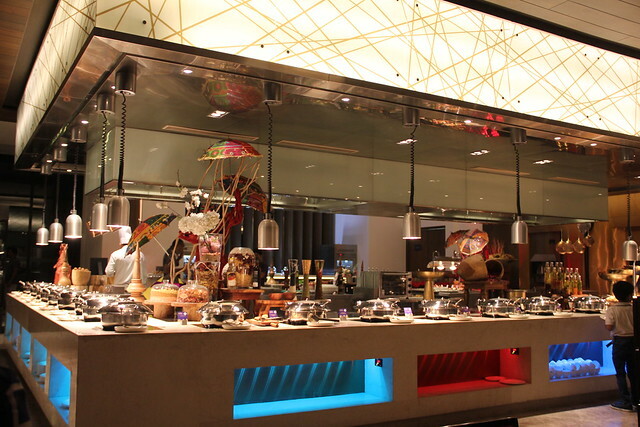 The expanse of the restaurant is a treat for the eyes and buffet counters make you fall in love. Housed on the ground floor of Novotel, Aerocity – this one’s a unique and modern take on a gastro-hub. To celebrate the cuisines of the three most important tourist spots around Delhi, Food Exchange is hosting Golden Triangle food festival – with cuisines from Agra, Jaipur and Delhi – this is the place where you can enjoy the best of all within the luxury of the hotel. 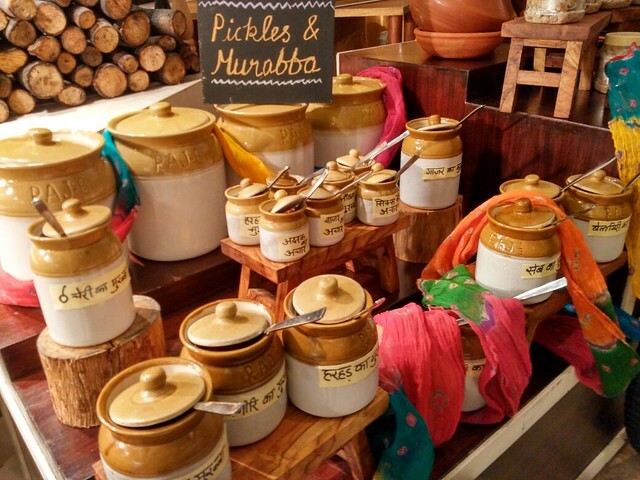 Start with sipping on some hot Paaya Soup to compliment the weather and move on to having some delectable starters – for the day the menu had tandoori pasliya (roasted lamb ribs), khad murgh (chicken marinated in whole spices), silbatte ki soya shami & papad paneer. Indulge on some chaat from Delhi ki Chatori Gully – bhalla, papri, gol-gappe with a variety of spiced water and dahi puchka or savour some mirchi pakodas with steaming hot kadhi. 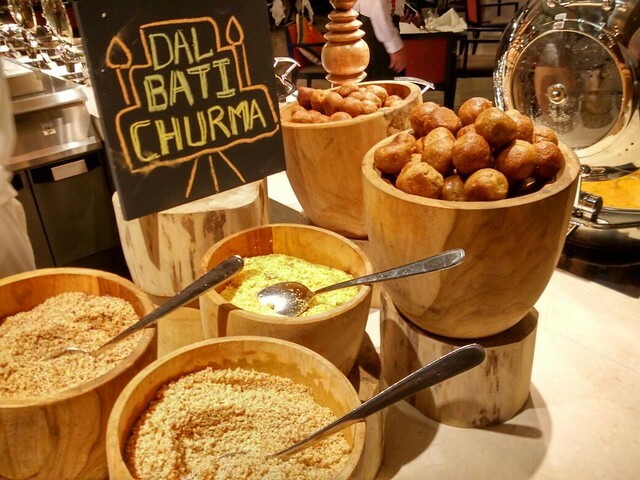 The all time favorite dal-baati-churma(s) is there – and yes there is a reason for the (s) with churma – there are 3 varieties (yay!) – regular, rose petals and pistachio – ah what a treat! 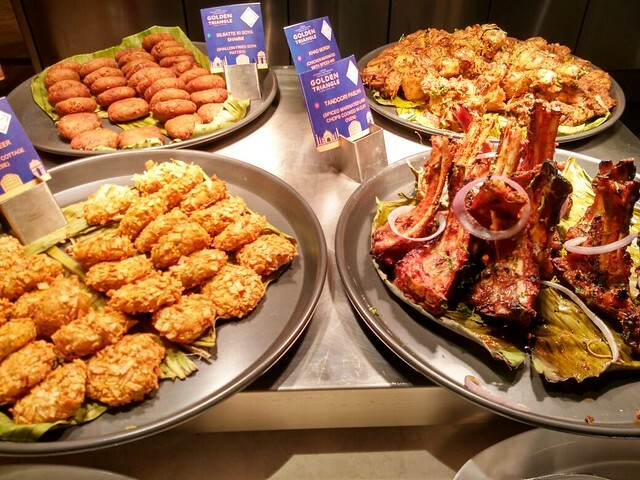 The menu rotates every day, and alongwith the items from the Food Festival, there are regular items from the buffet available as well – giving you the entire choice. 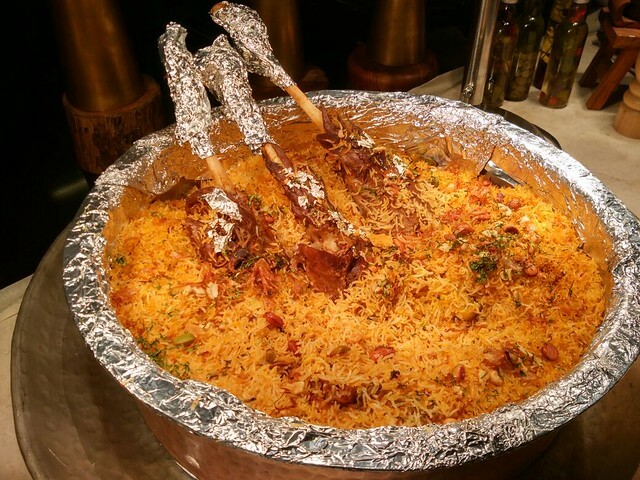 Ghost ki biryani (lamb shank biryani) was a delight to have. It’s a different feel altogether to pull the meat from those perfectly cooked lamb shank and then have your biryani. Pair your biryani with a glass of Rose wine, it’s a treat and the wine goes well with desserts too. 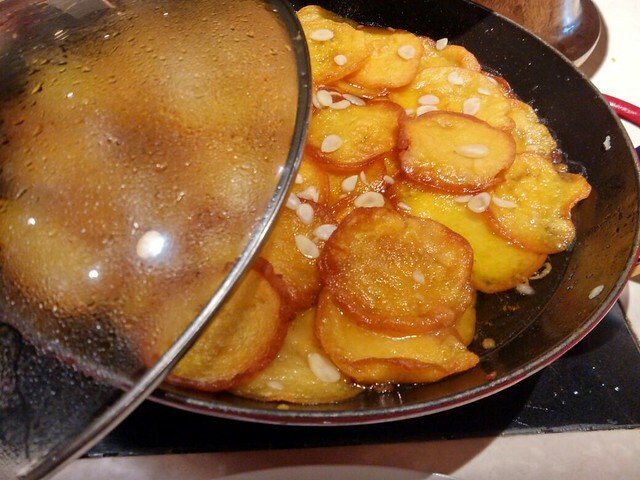 Murgh begum bahar is another dish on the menu you would like to have again and again. Lal Maans could have been spicier – there was practically no heat, which was a let down. Didn’t try anything vegetarian to save for the desserts but heard they were delectable. 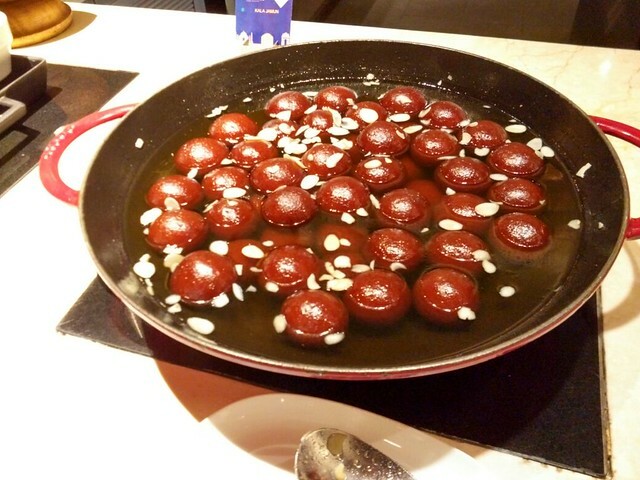 The regional favorites ghewar, gulab jamun, kalakand and malpua with rabri adorned the dessert menu along with the usual choices from the buffet menu. I chose to stick with the special items, and I was delighted. Hot gulab jamuns, hot malpuas topped with the super creamy rabri, ghewar with apt sweetness – what else can you wish for on a rainy season? With the choice of items and expertise of Chef Paramjeet, the Associate Culinary Designer at Food Exchange, the Golden Triangle food festival is a must visit this season for some delectable curries & kebabs from the the 3 cities.